Nearly Newlywed is putting a green spin on landing the perfect wedding dress. The online boutique, which launched on Wednesday, supplies brides-to-be with a selection of “nearly new,” fashion-forward gowns from sought-after designers—Oscar de la Renta, Monique Huillier, Vera Wang, and Alberta Ferretti, among them—at a fraction of their retail price. Even better, once you’ve tossed the bouquet, you can either keep your dress for posterity or reconsign it for up to 70 percent of what you paid. Jacqueline Courtney, a former New York fashion publicist, founded the company after her own wedding-gown search left her flustered and frustrated. “Renting didn’t offer enough flexibility or selection, sample sales were too frantic and final, and used bridal for sale online was overwhelming and risky,” she explains. 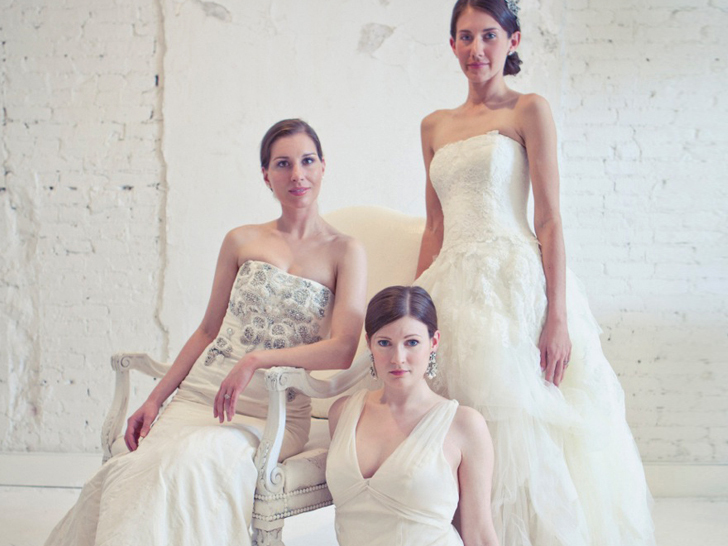 Jacqueline Courtney founded the company after her own wedding-gown hunt left her frustrated. Based on the “borrow, alter, keep or send back” system Courtney used with A-list celebs and fashion editors, Nearly Newlywed offers a gamut of hand-curated dresses for every occasion, from the engagement party to the wedding reception. Plus, the boutique offers a personal-shopper service through Pinterest, allowing prospective brides to connect directly with Courtney and receive dress recommendations based on their inspiration boards. Once a wedding gown is chosen, it’s shipped out to the blushing bride immediately. So, that’s something old, something new, and something borrowed in the bag. To get $100 off any Nearly Newlywed dress, enter the discount code Ecouterre from April 25 to 27, 2012.